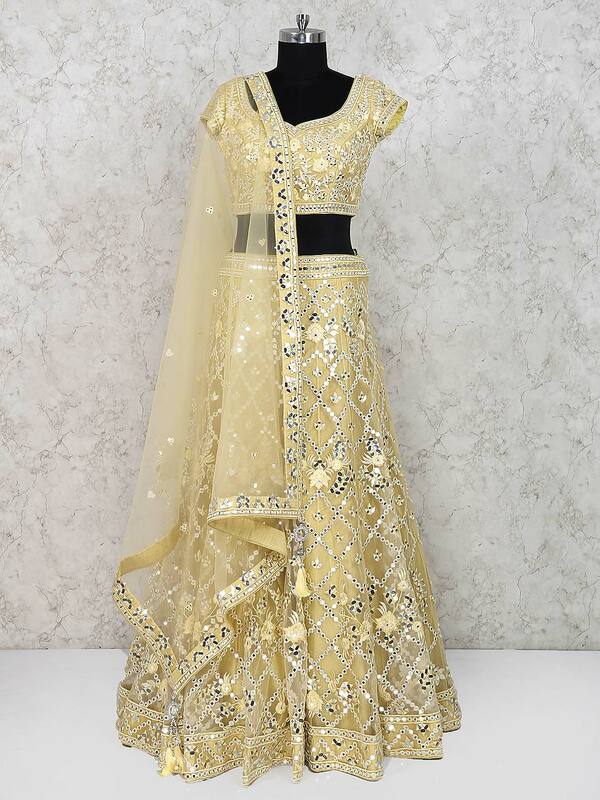 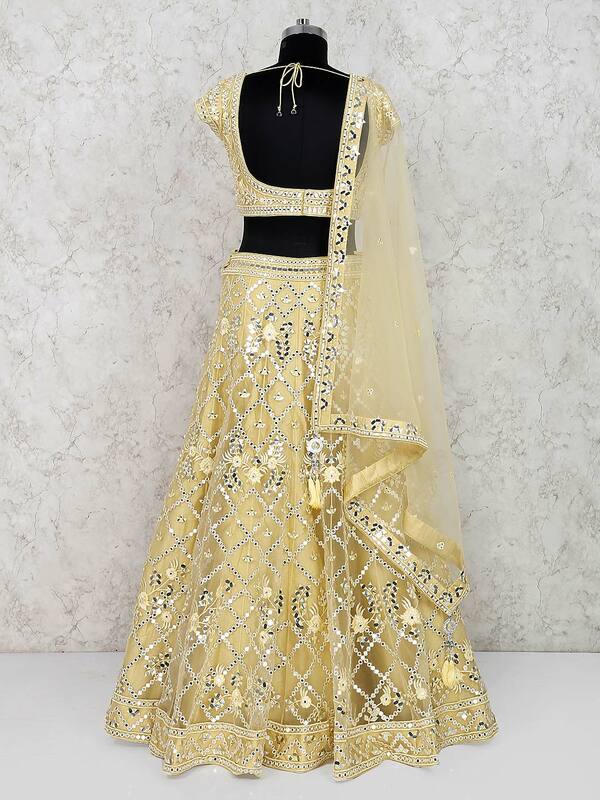 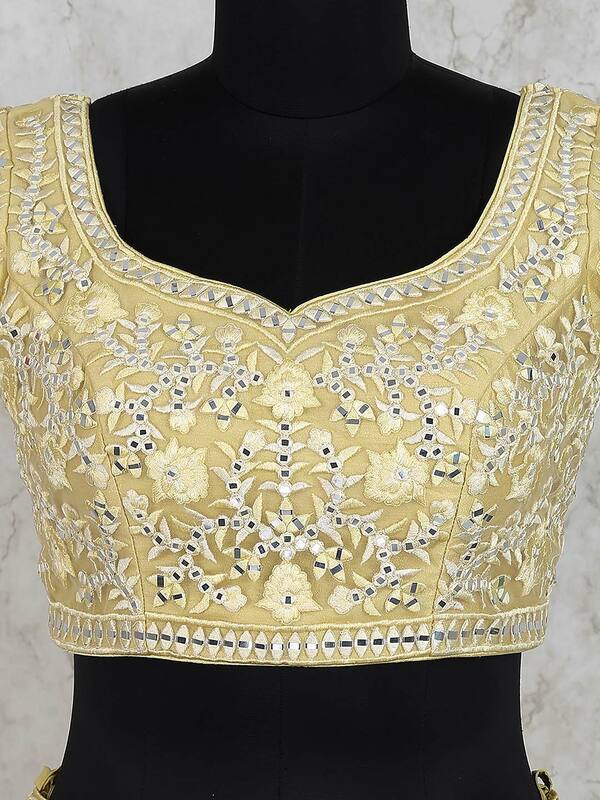 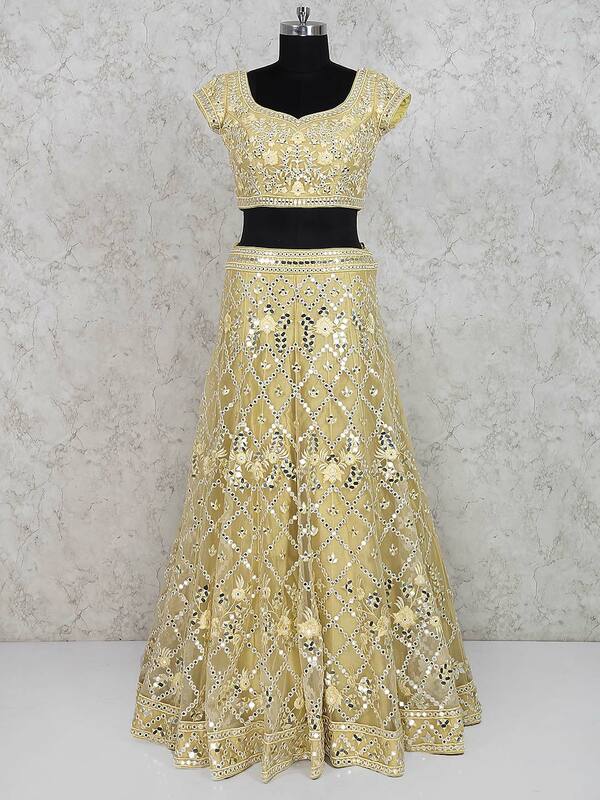 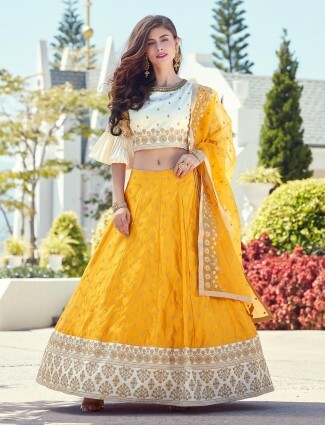 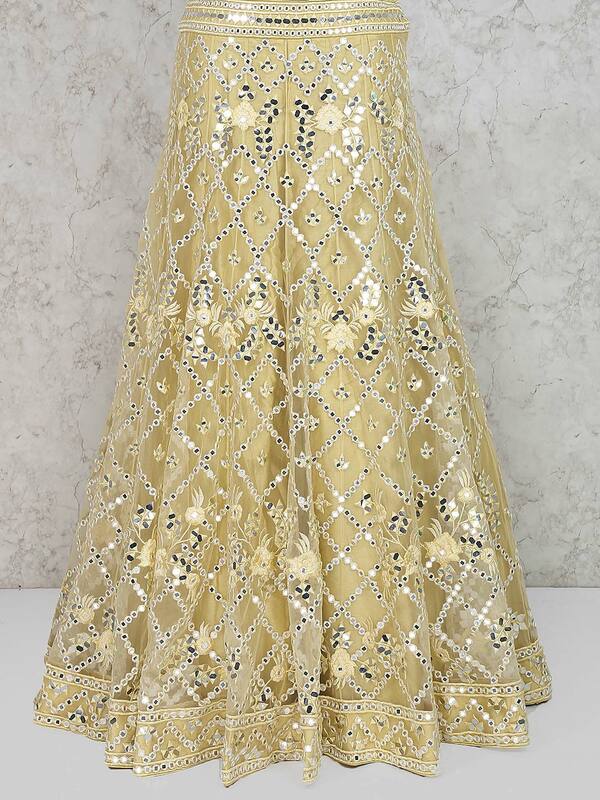 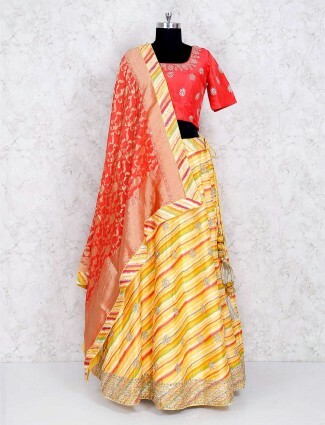 Refurbish your ethnic collection by picking this yellow colored net lehenga choli. 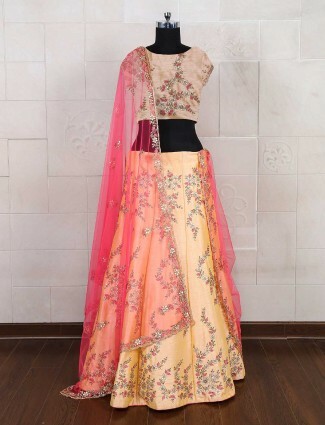 Decorated with aabla work all over. 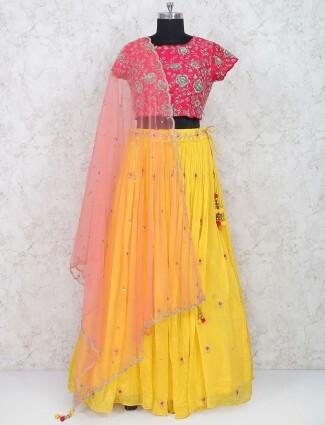 Comes with matching dupatta. 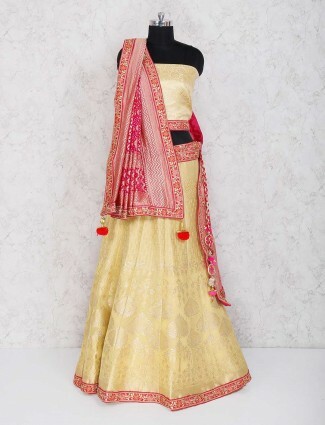 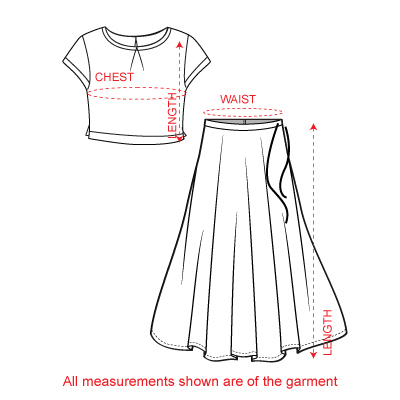 Ideal for wedding ceremony.